“Experience” and “learning” are two powerful words that shape and strengthen personal and professional accountability, effectiveness, and success. These two words are close to my heart and mind. I firmly believe that they are of utmost importance in today’s VUCA world.1 The more we can experience and learn, the better we can adapt and explore current and future situations. The above holds true for the consulting world, too. All client projects or contracts are an experiential learning curve for consultants, as each engagement hones the consulting growth mindset. Effective utilization of this mindset facilitates better client service and a successful consulting engagement. I embarked on a consulting journey with my post accreditation workshop project which focused on assessing organizational culture and effectiveness, as facilitated by Roxanne Ray and Alysun Johns of Human Synergistics in the accreditation workshop. With the support of my mentor, Cathy Perme, and the determination to learn from my first consulting experience, I am writing this article. It serves a dual purpose: (1) refresh my learning experience, and (2) share my learning with fellow consultants and contribute to their learning curve and growth mindset. As an inspiration for new consultants and a good reminder for experienced consultants, my suggestions are designed to be relevant not only to projects based on the OCI/OEI but to other approaches to measuring organizational culture and climate as well. The first phase is for consultants to conduct discovery meetings with clients and build a credible consulting engagement by following the below steps. Get initial buy-in from the senior leadership team, as it is critical for assessments and transformation success. Prior to conducting assessments, gain a holistic understanding of a client’s business/organizational needs, and the company’s goals and objectives. Upon understanding, consultants will need to identify and analyze how culture and effectiveness assessments can support the achievement of defined organizational needs and goals. The rationale needs to be explicitly mentioned to senior leadership and key stakeholders. 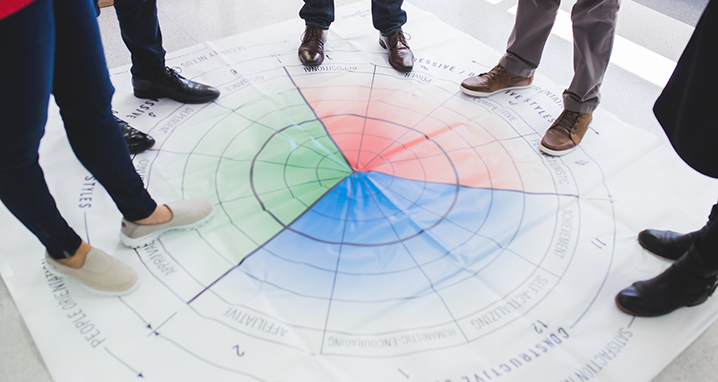 Create trust with the team—emphasize and ensure action planning is initiated and set into motion to attain holistic completion of the assessment purpose and business/organizational needs. Assessments can be successful when conducted in a structured, phased approach as follows. Plan an agenda with the client and establish a timeline for each phase, including survey administration, debrief presentation, etc. If necessary, facilitate planning sessions, conduct regular follow-up, and adjust the timeline as and when required. Facilitate qualitative data collection (like interviews and focus groups) to supplement quantitative data collection (like surveys/assessments). Seek senior leadership input prior to designing the questions and agenda for the interviews and focus groups. Establish a set of ground rules prior to focus group sessions and the debrief of assessment results. Explain the purpose of the sessions to attendees before diving into the main agenda. Modify and/or tweak the template provided for the survey memo and scripts to make it more personalized for participants at the client end. During the two-week data collection process via surveys, update the client with ongoing survey results (once every 3-4 days) on the number or percentage of participants who completed the survey and how many more are needed to participate prior to the survey deadline date. The final and crucial phase is to present the assessment report findings to the client and outline the recommendations. Debrief survey results to the primary client coordinator or senior leader before presenting the results to the entire leadership team. Any changes requested should be accommodated in the final debrief presentation unless it compromises the integrity of the assessment. 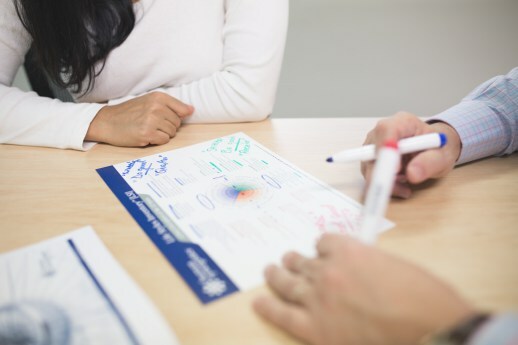 During the results debrief, establish a connection between the quantitative and qualitative data to facilitate a meaningful understanding of results at the attendees’ end. After presenting the assessment results, ask attendees their thoughts about it. Facilitate group exercises and ask attendees to share their ideas on ways to attain change within the department and company. Make notes and share them with key stakeholders/leadership team. If subgroup results form a part of the main report, create a one-page summary report for each subgroup breakout and share with the client after the debrief presentation. Keep the assessment results report handy so that any questions (from attendees) on survey items and/or results charts can be immediately addressed. Share recommendations and discuss action plans with key stakeholders/leadership team. Help the leadership team share assessment results with the entire department and/or organization to facilitate and build an open and transparent communication culture. Establish a contract in advance with the client for post-assessment support, even if the support doesn’t include an entire intervention. This support should include helping the client get started on action plans and the implementation process. During each consulting and assessment phase, consultants will need to be open-minded, alert, and use active listening skills to understand and listen to the client’s concerns, issues, beliefs, etc., as each conversation may provide a hint on the current culture and climate within the organization. These lessons, when implemented, can foster a constructive culture-engagement relationship between clients and consultants. I welcome your insights on how we can make the culture assessment and consulting process more meaningful and successful. Feel free to share your ideas via the social buttons below. Thank you! 2 Cooke, Robert A. & Szumal, Janet L. (2003). Organizational Culture Inventory®/Organizational Effectiveness Inventory® Feedback Report. Plymouth, MI: Human Synergistics. 3 The terminologies are from Robert A. Cooke, Ph.D. and J. Clayton Lafferty, Ph.D., Organizational Culture Inventory® and Organizational Effectiveness Inventory®, Human Synergistics International, Plymouth, MI. Copyright © 1987-2007. All Rights Reserved. Used by permission. 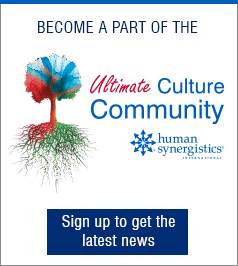 4 OCI® style names and descriptions are from Robert A. Cooke, Ph.D. and J. Clayton Lafferty, Ph.D., Organizational Culture Inventory®, Human Synergistics International, Plymouth, MI. Copyright © 1987-2007. All Rights Reserved. Used by permission. V Lakshmi Chirravuri is a Human Resource/Organization Development professional with 9 years experience in global recruitment and HR operations. Workplace culture, organizational change management, and talent management are her areas of interest. She graduated recently in Industrial/Organizational Psychology from The Chicago School of Professional Psychology (Dec 2016), has an MBA degree from The Nottingham Trent University, and a bachelor's degree in Industrial Engineering and Management from VTU University (India).